Time Being Media, LLC, 9780991575947, 186pp. At sunset in Key West, twelve-year-old Lissa falls into the gulf and is swept out along a golden path. Using her knowledge of art and poetry (learned from her parents), she navigates past the beautiful entanglements and curious inhabitants of the reef. Finally she arrives in the realm of Kwest, where the inhabitants are devoted to creating each sunrise and sunset. As the newest arrival, Lissa is chosen to judge a contest between Day Crew and Night Crew. 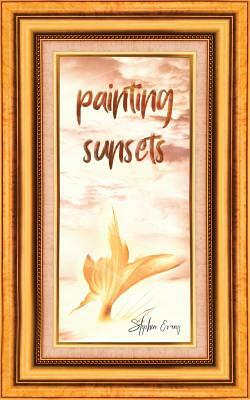 After demonstrating her understanding of art, Lissa is offered a choice: to return to her father and her old life or remain forever as a painter of sunsets.